Do you want to add prescription lens or any other additional lens options??? We are sorry but this particular item has been sold. If you are interested in the similar item please contact us directly and we will make every attempt to get you an item that fits your needs and desires at the best value possible. Michael Kors MK2064 LUGANO Sunglasses Color 3005N0 BLACK 100% Authentic, Price Match, Original Case, Cloth and Certificate Of Authenticity. Come directly from the manufacturer and defect free. 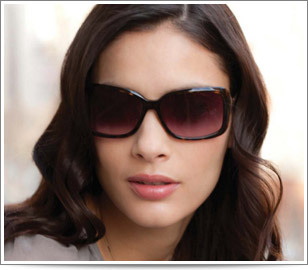 Michael Kors sunglasses are a pedestal of the American eyewear collection. It features a variety of art and smoothness of the materials and more of the designs details. Michael kors s made to order eyewear for everyone and fashionably excellent, it intail hig quality eyewear that desire a second look. Our goal is to alleviate the stress and confusion of shopping for authentic brands sunglasses. We enjoy elegant and classical brands and want to make sure you enjoy your selection as well. If you are not completely satisfied with any of our sunglasses for any reason, please contact our Customer Service team for immediate assistance. At ShadesEmporium, we feel that you should only be purchasing sunglasses that will please your sight. That is why we take the guesswork out of sunglasses shopping by offering you a selection that is hand-picked designers by our discerning team. The ShadesEmporium shopping experience is a pleasant alternative to gigantic websites and stores that can make choosing fine sunglasses overwhelming. Instead, we go right to the source to find top quality brands, great value sunglasses that are always a good choice. You will only get the best from ShadesEmporium. Because we work directly with the top brokers and distributors our prices represent value that is well above what others in the marketplace can possibly offer. We offer low prices on all of our sunglasses. Our Guarantee - With over 15 years of experience in authentic eyewear brands sunglasses, we are confident that you will be pleased with your purchases from us. We stand by our great products and service and are proud of what we have to offer. If you don't like them (and we couldn't imagine why! ), our customer care team will swiftly and politely make things right. Shades Emporium guarantees that every pair of sunglasses we sell are 100% authentic brand-name, brand new merchandise. Because we only work with authorized vendors, you can be assured that our merchandise is 100% authentic and brand new. Shades Emporium is the only internet sunglass store that is backed by buySAFE and carries the buySAFE Seal of Approval. Most merchants never qualify for buySAFE, and we're honored to have earned the buySAFE Seal of Approval. A $25,000 Purchase Guarantee. buySAFE will reimburse you up to $25,000 in the event there is an unresolved problem with your purchase. $10,000 ID Theft Protection. You get comprehensive protection up to $10,000 in the event your personal information is improperly handled as a result of your purchase with Shades Emporium. $100 Price Guarantee. If, within 30 days of your purchase, we lower our price on the item, buySAFE will pay you the difference, up to $100. Be the first to write a product review. Your opinion important to us and many customers who might consider purchasing the same item! Order Tracking will be mailed to you immediately after shipping has been processed. Most orders usually ship within 3-4 business days at latest. Actual delivery dates may vary due to product availability, delivery location and the items you order. Please note: FREE UPS Mail shipping is available on all domestic orders but not for contact lens, international, exchange orders, gift with purchase offers, or orders using coupon codes. The typical timeframe for arrival of backordered items is 5 to 7 days. We're not happy until our customers are happy. We admit it - we love hearing how happy our customers are with our equipment and our service. We value the feedback we receive from our customers and actively seek to gather their thoughts and input. Below are some of the recent comments our customers have made about working with us. Please note that our testimonials have been validated validated by an independent and established third-party such as Google, Ekomi and TrustPilot. Item is currently out of stock. Sorry for inconvinience. Please check other items or call our Customer Support for assistance. Down-to-earth simplicity. Their customer service proved to be not only efficient, but also effective. ShadesEmporiumwas involved throughout my entire shopping process (answering all my questions, which were plenty); they proved that an online experience can be better than an in-store experience. One common misconception that we often hear is that buying sunglasses online is impractical because eyewear has to be tried on to ensure that it fits comfortably and looks great. A pair of sunglasses is more than protection from the sun. It is a fashion statement. You can go from drab to 'fab' with the right pair, and no online store with a virtual try-on feature can give you a true sense of how a pair of sunglasses would look and feel until you actually try them on. But that does not mean that you have to buy from a retail store, and pay retail prices for the sunglasses you want. And how often do you find those perfect sunglasses but have to wait because the store is out of stock or doesn't carry them in the color you want? If you are planning to purchase from the stores above, you will most likely be paying top retail dollar, plus sales tax Those highly recognizable stores have high operating costs which they pass on to the retail customer. You are likely to receive great customer service, but their staff has not been trained in the specialized field of fashion eyewear, and often don't know their own inventory. Nor will any store carry the full inventory of a designer's line, causing you to search other stores in hope of finding what you want. Why go through all that trouble and still have to pay retail, when there is a better way! Imagine you can buy 2 pairs from us for the price you'd pay for one pair at these stores. There are so called "discount" stores like the ones above, where you can find discounts on designer sunglasses, but they are on past season's models, and are likely to be damaged or in less than new condition. So if you are just bargain shopping, these places might be an option for you. Why settle for last season's model, when you can buy the latest styles from us at deep discounts. Suppose you have your heart set on a pair of sunglasses you just saw in the latest issue of Vogue magazine where it says that they are available at Bloomingdales. You go to Bloomingdales but they do not have them available in the color you want. So you have an option to wait several weeks until they order it for you, or come to our site and get the same glasses for a fraction of the price and have them in your possession in several days - no taxes, no shipping cost, no driving back to the store, delivered right to your door! Just take note of the first 2 series of numbers on the arm piece and come to our site. If you buy them here, you will have your pair of sunglasses sent to you within one business day. If you don't find them here, contact us and we will order them for you. It's that fast, and easy to shop with us. You'll be paying deeply discounted prices for the latest styles, you'll be served by our professional staff that specializes in the business of sunglasses, and our 100% Satisfaction Guarantee makes your purchase completely risk-free. We work hard to ensure our customers receive the lowest possible prices. However sometimes we can miss a competitor's lower price. If you find a competitor with a lower delivered price, please let us know below. If you are completely satisfied with your experience at Shades Emporium, please tell your friends about us. Hi, I have come across this product that I liked and wanted to share it with you so perhaps you might be interested in it as well. Thank you for recommending Shades Emporium to your friends. For every purchase made by your friends, we will email you a $20 gift certificate to use on your next purchase at ShadesEmporium.com and instructions on how to redeem it. Can't read your prescription? No Problem, simply fax it to or scan and email it, once you complete checkout. Just remember to write down your order number on top when faxing or order number in the subject of the email if emailing. I will fax or email my prescription to you. Receive Special Deals & Exclusives! Send me Cool Stuff!